Measure the chest behind the front legs, on the widest part to choose the right size. We are pleased and proud to announce that the multifunctional IDC® dog vest 3in1 won the Pet Business Industry Recognition Award in the USA. Thanks! 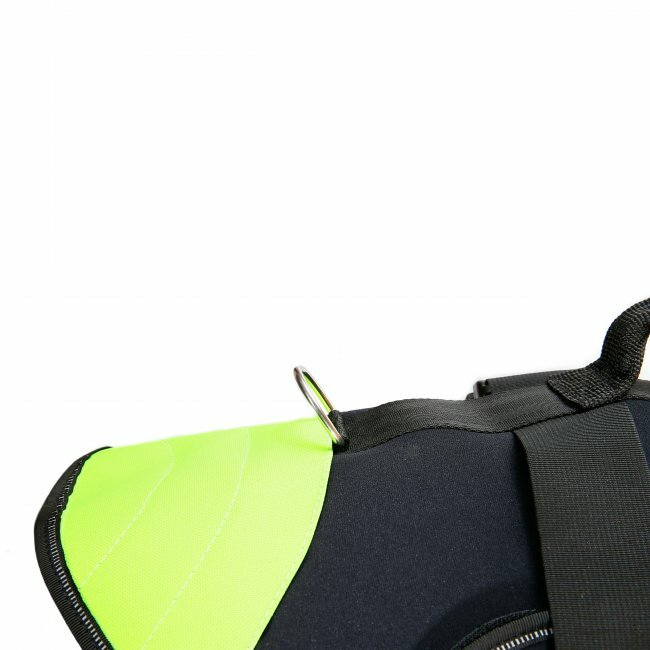 A multifunctional vest (swimming and life vest) with removable floating foam pads that helps the dog to stay on the surface of the water, thereby functioning as a life vest. On the ground it makes the lifting of the dog easier, with the foam pads acting as pressure distribution elements (rehabilitation vest). By removing the floating foam pads from the pockets, you get a great neoprene dog jacket protecting your pet from wind, water and cold. 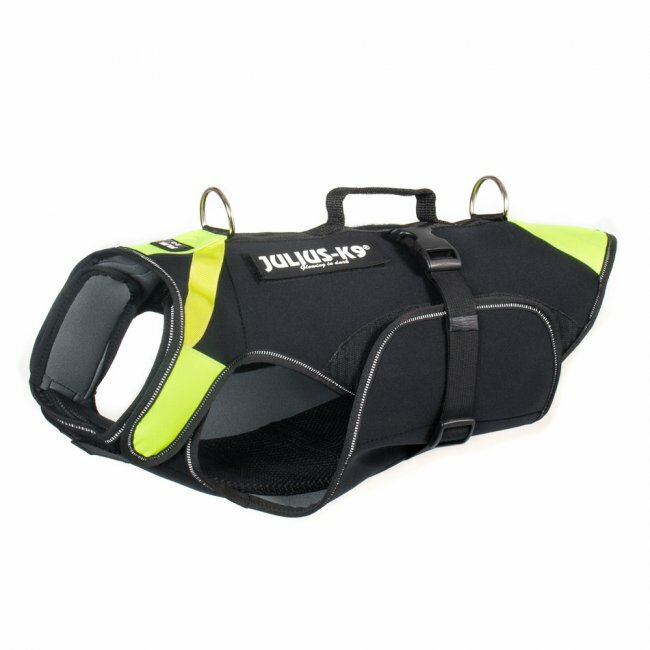 As a swimming/life vest, it is excellent for hydrotherapy purposes, as the load on the dog can be varied by increasing or decreasing the number of foam pads. A strong handle and a leash ring for attaching a leash makes it easier to lift the dog from the water, to rescue it, or to control it during the exercise. The product is highly recommended for training to swim those dog breeds (French Bulldogs, English Bulldogs) which are more challenged to stay on the surface of the water due to their physical abilities. The vest comes with two floating foam pads, for the chest and the back part. 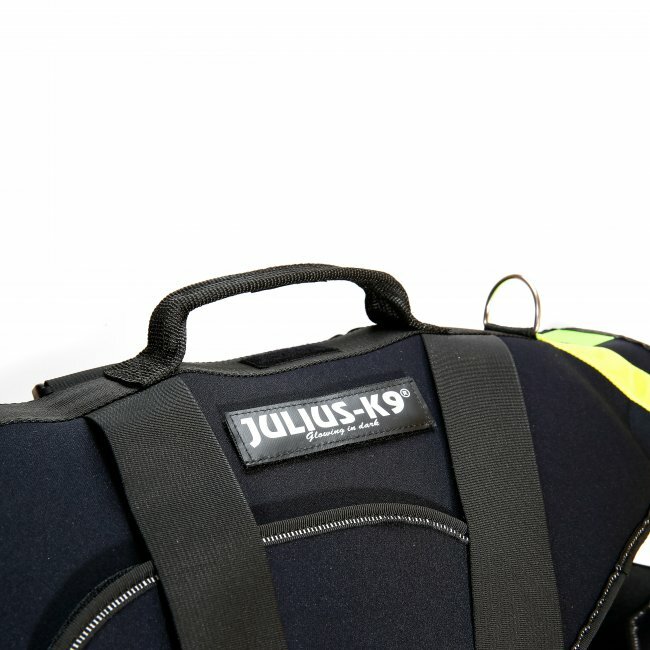 This product would not be complete without replaceable labels either, the vest comes with a pair of small size Julius-K9® labels that can be replaced with labels on stock or unique labels as you like. The mechanical load tests of the used materials and finished products have been performed by the Budapest University of Technology and Economics.